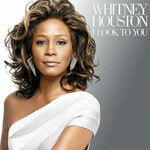 You are here: Home / Addictions / Could Natural Healing Have Saved Whitney Houston? Could Natural Healing Have Saved Whitney Houston? I am amazed by all of the negative remarks surrounding Whitney Houson’s tragic death simply because she had a drug problem. I have many friends who have suffered for years with drug addiction. A dear friend of mine after years of recovery and relapse, has finally kicked the habit for good and has been clean for 8 years. She credits her sobriety more to switching to a natural lifestyle than to the treatments she received during her 3 stays in recovery centers. What are your thoughts on this? Could Whitney Houston have been saved by natural treatments? Drug addiction is highly complex and involves much more than simply physical addiction. Individuals suffering from the condition, therefore, require a more complex approach than simply treating physical symptoms. Psychological, physiological and emotional issues must also be addressed when attempting to treat physical dependencies. The problem with conventional treatments for drug addiction is the use of additional drugs to eliminate addictions and control detoxification and withdrawal symptoms, as well as drugs to control the anxiety that individuals often experience when trying to break drug addictions. It has been reported that Xanax and Valium were found in Whitney Houston’s hotel room. This is an example of how the drugs administered to patients to break addiction to illegal drugs often result only in an addiction to legal drugs. The fact that so many stars are addicted to drugs is just another reminder that their lives aren’t as wonderful as we think. Perhaps if they had read this post on natural ways to heal from addictions they’d have saved their lives. In a world where music, film, and fashion are ever present and becoming more and more enticing and attractive, it would be good to remember, that a natural, holistic approach to life in every area of your life is required for complete health and well being. Highly addicted to both illegal and legal drugs, Super Star Whitney Houston was unable to kick the drug habit and it eventually cost her life. She is not the only star who has died recently due to drug overdose, both Michael Jackson and Amy Wineshouse died last year.